Can Winston succeed behind a broken line? He has been injured. For the recrafted offensive line of the Tampa Bay Bucs, the chore is to keep Jameis Winston from being hurt again. 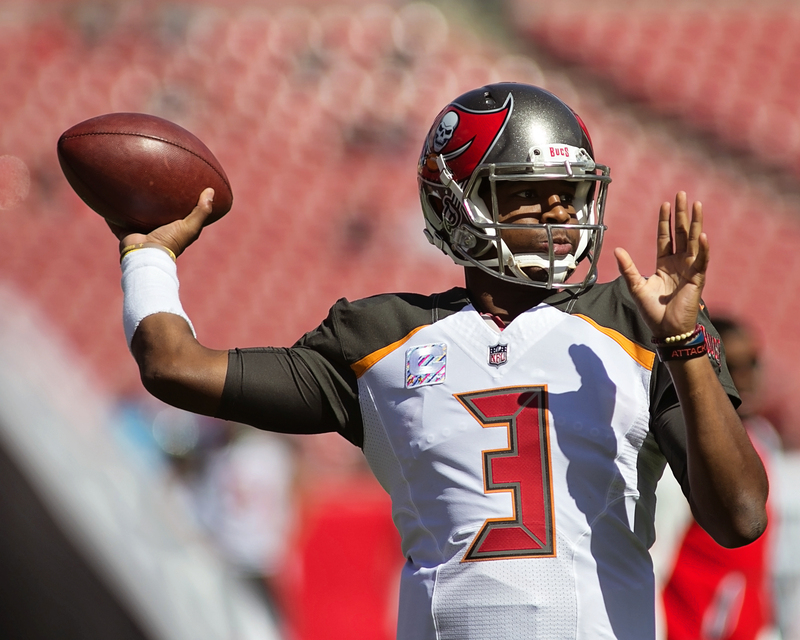 Winston, the third-year Bucs' quarterback, has missed three games with a shoulder injury. Against the Packers, Winston will play without right tackle Demar Dotson or center Ali Marpet, who will be replaced in the lineup by Caleb Benenoch and Joe Hawley. when Sunday rolls around you’ve got to play the game. Do you account for it? I don’t know that you can account for it. You’ve got to play football. Jameis has played a lot of football and so have the other guys. You just don’t really have the option of easing a quarterback back into it. He either plays or he doesn’t. Koetter said that he thinks Winston will respond to missing time. Koetter said that offensive line is a concern. One thing that Winston could have learned from backup quarterback Ryan Fitzpatrick is his demeanor in the pocket. Winston said he benefitted from watching Fitzpatrick. Winston said he will “absolutely” be vindicated in the latest charges by an Uber driver. Game time is 1 p.m. on Sunday. Since the Bucs always seem to be the underdog in games lately, watching them win would be a nice surprise. I don’t get mad at the TV as much as I used to at the start of the season either. Why is that I wonder?